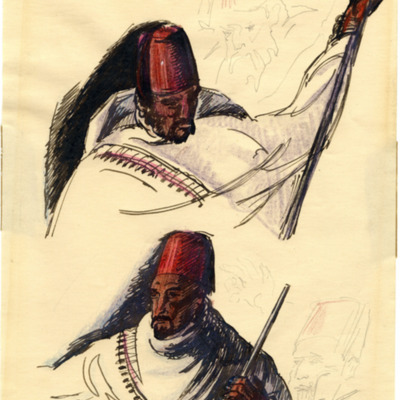 Drawing completed by Fredericks while traveling abroad in Morocco, 1931 of a man in a fez with a stick or cane. Two pencil sketches on the right and two brown, black, and red drawing on the left. 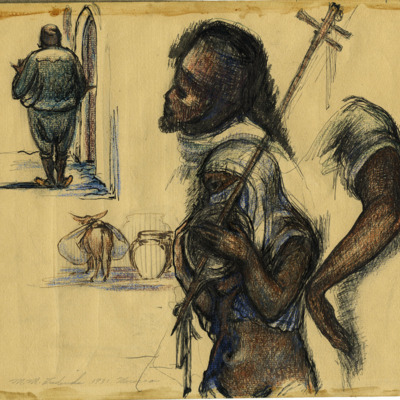 Double-sided drawing completed by Fredericks while traveling abroad in Morocco, 1931.